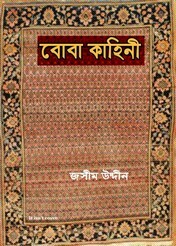 It is the only novel by eminent rural poet- Jasimuddin Molla. This novel was first published in 1964 and it is based entirely on the life of a man. The story of the novel is the human life of a particular area of the Faridpur region of Bangladesh. Azaher, protagonist of this novel and he is son of a fragmentary farmer. Disgrace and deprivation are constant companion of his from childhood. Yet, he dreams of a happy life. His dreams are not implemented for various adversities. Looking for a way to get rid of the bitter experience of his life, he dreams of making his son Bachhir for proper education. Poor rural peasant Azaher and his son Bachhir, this novel is about the success and failure of the life of these two generations.